The term SoulMate means many different things. These are souls that you have experienced with in past, parallel or future lifetimes. They can also be aspects of your soul experiencing at this time in another body. We are all multidimensional beings, your soul having experiences, in many realities, at the same time. As we all evolve from the same source of consciousness creation, we could say that we are all SoulMates in a manner of speaking. SoulMate is sometimes used to designate someone with whom one has a feeling of deep and natural affinity, friendship, love, intimacy, sexuality, and/or compatibility. SoulMates can have various types of relationships, which do not always include romantic love. They can be close friends, co-workers, a teacher, anyone who influences your life one way or another. They play the emotional, spiritual, physical, and mental, games of third dimension with you. They can affect relationships in a positive or negative way depending on the emotional issues of the people concerned. Souls often come together to work out issues or play reverse roles than that which they are experiencing elsewhere. Anyone who is in your biological family, or adopted family, or pseudo-family, is a SoulMate to you. You feel closer to certain souls, because you have attracted them into your life as they are on the same frequency as you or because you want to work out issues with them. Karma refers to responsibilities shared by SoulMate. Often SoulMate come together to bring another soul into the physical realms. A man and woman mate and produce one or more children, the karma thus completed ends. The couple separates and share whatever karma is linked to the child. Sometimes the karma in family is between mother and child, so the child remains exclusively with the mother. Sometimes the karma is with the father and the mother leaves or deceases. Sometimes it is with both parents or with a sibling who has entered the game before or after you. As the soul seeks unity with self, the journey home, (twin flame connection), it tends to think of a SoulMate as The One (which is actually the source of creation) who is there for us and to make us feel complete. Did you know that you often attract people into your life who look as you do in parallel or past lives? For example, you are a man seeking a female partner. You will seek out someone who looks and acts if you were a woman, like a mirror image. Your ideal partner is who you are in that physical body. We are always seeking ways to experience ourselves. Men often seek the goddess when searching for a mate, one who looks like the priestess, slim body, long flowing hair purity of soul, beauty and gentleness of creation that speaks to their soul of union with the female creational force. It is SHE who brings loves, guidance, compassion and reunion of your twin soul aspects. A younger person, child-like in essence, is also a major attraction. SoulMates can bring out the best and worst in each other, depending on their issues, and often no matter how hard someone tries to hold on and help, the lesson is to let go. Dating online holds a curiosity because it doesn't involve a lot of commitment or energy in the beginning. When you are deciding whether to try this type of dating it may help you to know more about it. Internet Dating Profiles - When you first go on to an online dating website you will be asked to fill out an online profile. This is a section of the website that will give people an idea of the type of person you are and what you value. Your profile acts like your introduction to everyone and it tells people what they can expect from you. Although some people have a tendency to lie on their profiles because they are afraid that people will reject them for some reason, it is better to tell the truth. You don't have to tell every little detail about yourself, but you do have to give enough information for them to want to keep reading and maybe send you an email. Give information about yourself, but do not add a lot of personal information like your home telephone number, address or any identifying information. This is for your privacy and protection because people you are not familiar with will look at your profile. You will also have a chance to read other people's profiles to see whether they are interesting enough for you to contact. Remember that this dating service is about meeting people and getting to know them as much as it is for them to get to know you. Sending e-mails / Communicating Online - The next thing you will be doing is sending emails to people who look interesting. It is a good idea to also learn how to use the instant messaging feature that most of the dating services offer because some people will want to contact you in real time. When you send an email, if it is someone that you find interesting, you can be a little flirty but not too much. You want to get them interested, but you don't want to promise anything that you don't really mean. You will know right away from the return emails whether this is someone you want to continue talking with, or whether you want to move on. It's a good idea to send several emails to a variety of people so you will get to know them faster. The First Date - You will want to meet the person at a public place for a very short time on the first date. This will give you an opportunity to check them out and see if they are interesting enough to go out with again. Pros and Cons of Online Dating - Online dating is relatively inexpensive and it allows you to meet lots of people within a short amount of time. The online profiles are fun to read and they are usually very interesting. Sometimes people will lie on their profiles and some might be married, but looking to play around. Some people can be disappointing too because they are not truthful with their pictures. Staying away from free sites will help you guard yourself from some of these negative situations of online dating. After you sift through all of this information, it is important that if you are still curious you should sign up with one service and see what happens. You may be pleasantly surprised at the outcome. Find your SoulMate at www.SoulMates.com. 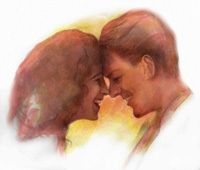 Your offer forNetSoulMates.com should reflect market value. Offers below $1000 US are ignored.